Mark Hohn, Director attended the Department of Aboriginal and Torres Strait Islander Partnerships’ Corporate Breakfast this morning. 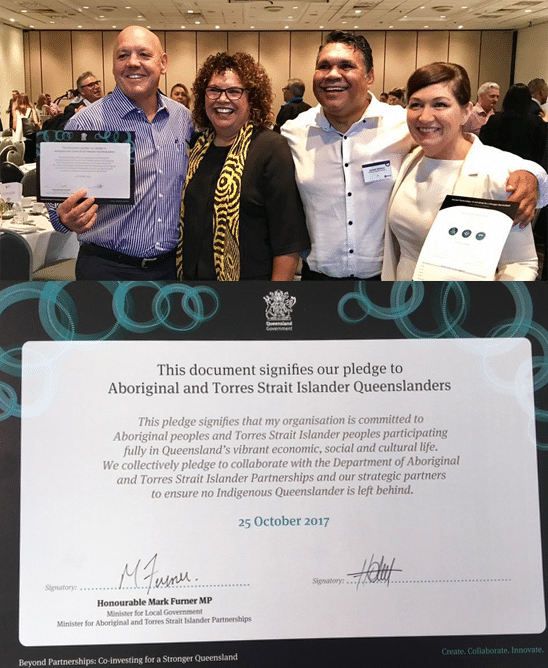 On behalf of CMBM Facility Services he proudly pledged our commitment to increasing economic participation opportunities for Aboriginal and Torres Strait Islander peoples to ensure no Indigenous Queensland is left behind. Pictured (L to R) Mark Hohn, Leann Wilson, Joe Wallace and the Honourable Leeanne Enoch.